LabTwin and Sartorius have launched the first voice and AI-powered digital lab assistant. Scientists can take notes, capture data, create supply lists and set timers or reminders from anywhere in the lab just by talking to LabTwin. 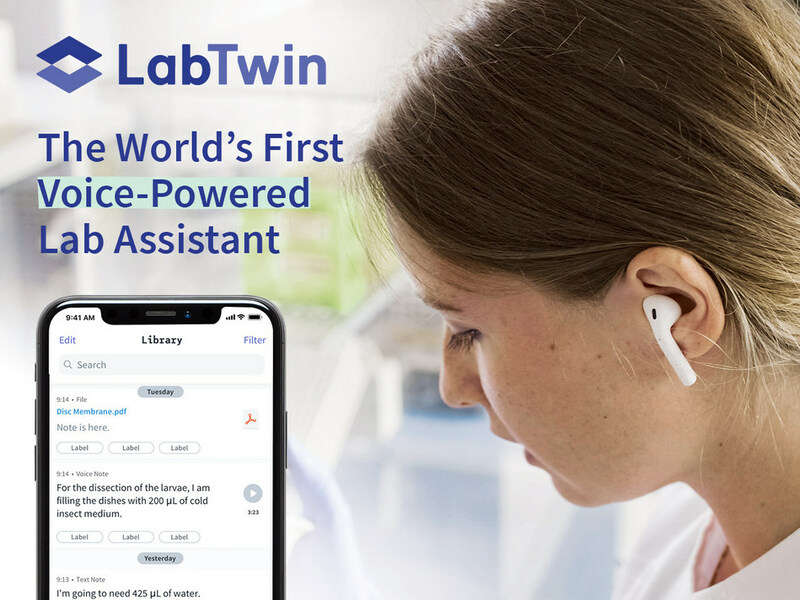 LabTwin uses machine learning and voice-recognition technologies to streamline workflow in laboratories around the world. Researchers from top-tier research institutes such as UCSF and Deutsches Primatenzentrum, and top biopharma companies have been quick to adopt the voice-powered assistant. "Digital assistants will free employees up to work on the things that matter most. New forms of interactions such as voice or image recognition, in conjunction with machine learning technology, will push businesses further than ever before," said Magdalena Paluch, LabTwin CEO, and co-founder. "LabTwin has the power to accelerate communication, unleash creativity and increase productivity by unshackling scientists from keyboards, desktops and hard-to-access folder structures. It¹s the digital twin always within reach." Industry experts BCG Digital Ventures and Sartorius have both lent their support to LabTwin's mission. BCG Digital Ventures incubated the product and company, providing funding, consulting, design and engineering resources, while Sartorius shared funding, industry knowledge and user contacts.